[S232] Ancestry.com, Québec (Anglican) (Québec (Anglican Cathedral Holy Trinity church)), 1856. [S232] Ancestry.com, Québec (Anglican) (Québec (Anglican Cathedral Holy Trinity church)), 1876. [S522] Gordon A. Morley and William J. Park, Mount Hermon Cemetery, AA21. [S205] Newspaper, The Standard (London, England), Thursday, September 30, 1880. [S232] Ancestry.com, Québec (Anglican) (Québec (Holy Trinity church)), 1901. [S522] Gordon A. Morley and William J. Park, Mount Hermon Cemetery, Q43. [S601] Website QuebecRecords.com (http://obituary.genealogiequebec.com/obituary/) "http://obituary.genealogiequebec.com/obituary/…." TWO MEN KILLED ON NEW YEAR’S DAY. W.M. Solomon and Delaware Sewell the Victims—Particulars of the Accident—A Reasonable Explanation — The Funeral Last Thursday. About 10 o’clock last Wednesday morning, William M. Solomon was instantly killed and Delaware Sewell so seriously injured that he died within a few hours. At the hour named smoke was seen issuing from the main tunnel of the Occidental mine, where the two men were working. This was followed by the reports of two explosions. Mr. Solomon, the father of the deceased and of J.Z. Solomon, Superintendent of the Occidental mine and mill, ran to the tunnel and looked in. He could see nothing but heard moans. Going into the tunnel he found Sewell lying speechless on the ground, his clothes torn off. He walked up the tunnel to where the two men had been working, looking for his son, but did not find him. On returning be found him lying between the rails, under a two-inch plank, dead. The plank was a section of the flooring of the track; one end of it was still nailed to the sill, the other was loose It was evident that the explosion had raised the plank and it had fallen back just as Solomon reached the spot, in endeavouring to escape. The bodies of the two men were removed to a neighbouring house, at once, while J.Z. Solomon jumped on horseback and came to this city after a physician. W.M. Solomon being dead nothing could be done for him. Some hopes were entertained of saving Sewell's life, but they were not retained long. As soon as the physician had examined him, he pronounced his case hopeless and he died about five hours after the accident. The physician who attended the men states that Solomon was found entirely uninjured, apparently, as he had not a wound on his body, and that he died by asphyxiation. Sewell, however, died from inhaling poisonous fumes, and from extreme cold consequent on the loss of the epidermic or outer skin, which fell in large scales whenever the man was moved. He had also suffered a compound fracture of the third rib of the left side, the rib having been forced out of place over three inches and a piece having been broken off which penetrated into the lung. Through the opening thus made and through the pores of the cuticle or true skin exposed by the removal of the outer skin, air was admitted. This would doubtless have caused the unfortunate man to literally freeze to death. The cause of the explosion is not known, and must therefore be guessed at. As usual in such cases, many theories are advanced, but that which is most generally accepted by the miners of this city is that the unfortunate men went to the magazine without a light; that they there struck a match to look about; that a piece of the match fell into the keg of black powder, which stood close to the door; that, the powder being been wet and hardened into a cake, it began to sizzle, and (the fire having penetrated the “cake” to the soft powder beneath) an explosion followed. The concussion resulting from this explosion then caused the giant powder to explode. This part of the theory, at least, is reasonable enough, as two reports were undoubtedly heard. Now as to the men: Upon hearing the sizzling of the black powder they became aware of what they had done, and started on a run for the entrance of the tunnel. Sewell being ahead; but the explosion occurred before they could get out, and they were found as stated, but about seventy-five feet apart. Had the explosions occurred while they were in the drift, they would undoubtedly hare been reduced to atoms. The fact that they took no light to the magazine is shown by their lantern (they could not use a candle because of the air-currents in the tunnel) having been found close to the car, about thirty feet away from the junction of the drift with the tunnel and in the opposite direction to that in which the bodies were found. The additional fact that Solomon was apparently uninjured adds great weight to this theory of the miners. Delaware Sewell was a native of Canada and about 42 years old. He came to this city in 1860, and has remained on or about the Comstock ever since. He has at times been worth quite a sum of money, and owned a mill opposite the old brewery, in the lower end of this city. He was also, at one time, Superintendent of the Pioneer mill, and has had charge of various mines. He is not known to have owned any property at the time of his death, besides a dwelling house in this city and a third interest in the Edison mine, in Delaware District, which was named after him. He was a member of three associations, to-wit: The Miners’ Union, the Masonic, and the Odd Fellows; and was not married. Solomon was not so generally known as Sewell, but is very highly spoken of by all who knew him. He was not a member of any local society, but was about to be admitted to the Silver City Miners’ Union. He was a native of New Jersey, and 25 years old. As they had been intimate friends, a double funeral was agreed upon. in pursuance of this agreement Sewell's remains were brought to the hall of Amity Lodge, while those of Solomon were taken to the hall of the Miners’ Union. About half past 8 o’clock Thursday afternoon Amity Lodge met and, after the preliminary services, escorted Sewell’s remains to the Miners’ Union Hall, where they were received by the Miners’ Union, and religious services were held. At their conclusion the procession was again formed, the Masons taking the lead with Sewell’s body, the Miners’ Union coming next, with Solomon's remains, and citizens closing up the line of march. In this order the graveyard was reached, when the procession broke ranks. [S205] Newspaper, Yerington Times (Yerington, Nevada), 4 January 1879. Solicitor, partner in Hallett & Co., of Bank Street, Ashford, Kent. Served as Second Lieutenant, Captain and Temporary Major with 24 Anti Tank Regiment Royal Artillery in Burma. He was awarded an MBE in 1945. [S232] Ancestry.com, Québec (Anglican) (Québec (Anglican Cathedral Holy Trinity church)), 1851. A wedding of considerable local interest took place at Holy Trinity Church, Tunbridge Wells, on Saturday, when Miss Edith Doyle Sewell, daughter of the late Rev. H.D. Sewell, M.A., Vicar of Headcorn, Kent, and of Mrs Sewell, 12, Calverley Park Gardens, Tunbridge Wells, was married to Mr J.W. 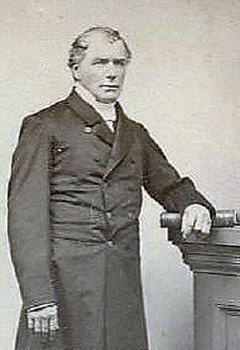 Tyndale McClellan, son of the Rev. J.B. McClellan, M.A., Principal of the Royal Agricultural College, Cirencester. The Rev. B.J. Stather Hunt, Vicar of the parish, officiated, assisted by the Rev. J.B. McClellan, father of the bride-groom. The Church was very prettily decorated for the occasion with palms and white chrysanthemums. Dr. Hathaway, organist of Tonbridge Parish Church, presided at the instrument. Edith Doyle Sewell died on 2 May 1964 in Tonbridge, Kent, at the age of 88 though the death was registered in the Northampton registry. [S117] The Times Newspaper, Jan 06, 1908. [S232] Ancestry.com, Québec (Anglican) (Québec (Anglican Cathedral Holy Trinity church)), 1877. [S232] Ancestry.com, Québec (Anglican) (Québec (Anglican Cathedral Holy Trinity church)), 1924. [S232] Ancestry.com, Québec (Anglican) (Québec (Anglican Cathedral Holy Trinity church)), 1850. [S232] Ancestry.com, Québec (Anglican) (Québec (Holy Trinity church)), 1930. [S522] Gordon A. Morley and William J. Park, Mount Hermon Cemetery, E9. [S232] Ancestry.com, Québec (Anglican) (Québec (Holy Trinity church)), 1882. [S378] Pierre-Georges Roy, Fils de Québec, quatrième série, p. 80. [S377] Pierre-Georges Roy, Dates lévisiennes, Vol. 6. p. 157. Rev. Edmund Willoughby Sewell was born on 3 September 1800 in Québec, Canada.2 He was the son of Chief Justice Jonathan/3 Sewell and Henrietta Smith. Rev. Edmund Willoughby Sewell was baptised on 30 September 1800 at Québec by Salter Jehosaphat Mountain, Rector of the English Church at Quebec. His godparents were, William Grant, John Caldwell and Maria Carleton.3,4 He married Susan Stewart, daughter of Hon. Montgomery Granville John Stewart and Catherine Honeyman, on 12 November 1828 in Chapel of the Holy Trinity, Québec City, George Jehosphat, Rector of Quebec, officiating. Marriage bond dated 11 November 1828.5,6,7 Rev. Edmund Willoughby Sewell married Elizabeth Durnford, daughter of Major General Elias Walker Durnford R.E. and Jane Sophia Mann, on 24 October 1842 in Christ Church, Montréal, Rev. Henry Doyle Sewell officiated. Present included: Stephen C. Sewell, James A. Sewell, G. Durnford.8,9 Rev. Edmund Willoughby Sewell and Elizabeth Durnford appear on the census of 1881 at Québec together with their son Edmund (spelt Edmond. )10 Rev. Edmund Willoughby Sewell died on 24 October 1890 in 41 St. Ursule Street, Québec, at the age of 90.11 He was buried on 28 October 1890 in Mount Hermon Cemetery, Plot 825, Funeral by Dean Norman from residence to Trinity Church.11 Sewell was educated at Mr Burrage's School, Quebec, and in 1814-16 at Brentford, Middlesex, England. Studying for the Church of England ministry, he was ordained deacon in 1824, at the cathedral, Quebec, by Bishop Jacob Mountain, and Presbyter, 1827, in the same cathedral by Bishop Stewart. Mr Sewell was curate at the cathedral for some years. Chief Justice Sewell having built the chapel of the Holy Trinity, founded 1824, as a chapel of ease to the cathedral, Mr Sewell officiated there as well, and in 1834 was appointed minister of the church. He continued there until December 1868, when it became the Garrison Chapel. After that, he went to England in 1870 and passing some time on the Continent returned to Quebec in 1879, where he resided until his death. He received the degree of MA from the Bishop's College, Lennoxville in 1864. For many years he was vice president of the Bible Society, and took great interest in everything connected with the evangelical cause. He was very active in his younger days in connection with the jail, orphans home, hospital, church and other societies. The Canadian Album: Encyclopedic Canada, Vol. 5, p. 90. [S232] Ancestry.com, Québec (Anglican) (Québec (Anglican Cathedral Holy Trinity church)), 1796-1800. 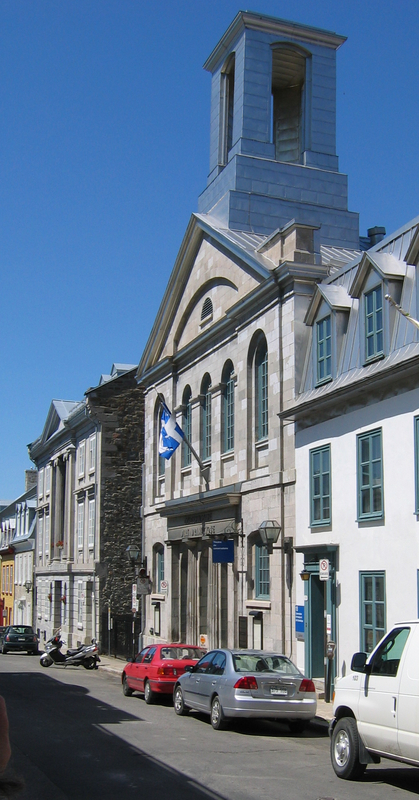 [S232] Ancestry.com, Québec (Protestant), 1786-1800. [S232] Ancestry.com, Quebec Vital and Church Records (Drouin Collection), 1621-1967. Québec (Anglican) (Québec (Anglican Cathedral Holy Trinity church)), 1828. [S205] Newspaper, The Gentleman's Magazine, Jan. 1829, p. 80. EDWARD HAMILTON SEWELL-The major portion of the life of Edward Hamilton Sewell, of the City of Quebec, was spent in the service of the Canadian Pacific Railway, in the Provinces of Quebec and Ontario. His life was consecrated to the advancement of the Province of Quebec through his work with the great railway system with which he was for years associated, nor did he confine himself to that but took a deep and abiding interest in all civic enterprises and gave his time and energies to promote all worthy causes affecting the people. Quebec had no better example of public spirited citizen than he, for, while he was a native of this Province, his blood was American of English ancestry. He was serving as passenger agent of the Canadian Pacific Railway in Sherbrooke, Quebec, at the time of his death, May 18, 1916. 1. Edward Hamilton, of whom further. 2. 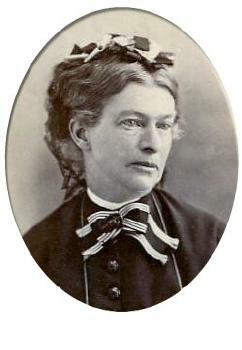 Mrs. E. A. Bishop, of Quebec. 3. Mrs. C.C. Pangman, of St. Louis, Missouri. Mr. Sewell was born in the City of Quebec, March 17, 1875, a son of Edward L. and Emily (Housman) Sewell, and was educated in the public schools. Upon his graduation from high school he entered the lumber business with his father, spending six years in that occupation and then going to Ottawa, where he became passenger agent for the Canadian Pacific Railway and held the post for five years, then being transferred to Sherbrooke, where he performed the same duties for the following twelve years, his death terminating a career of splendid promise and usefulness at a comparatively early age. He was a member of the Church of England, a Conservative in politics and belonged to the order of Free and Accepted Masons and to the Knights Templar Commandery of that organization. Edward Hamilton Sewell married in Quebec, in 1899, Mabel J. Ross, daughter of Henry and Harriet (Sait) Ross, and a sister of the late Ernest Ross. Mrs. Sewell now makes her home at the Chateau St. Louis, on Grande Allee, City of Quebec. The career of Edward Hamilton Sewell was of value to the public of the Dominion, in that he gave to that service a great ability and his whole strength. He was a man of most engaging personal qualities, with a host of staunch friends, whose esteem for him was as sincere as was their grief at his passing. 288 The Storied Province of Quebec. [S232] Ancestry.com, Québec (Anglican) (Québec (Holy Trinity church)), 1899. [S225] 1911 Canadian Census, Sherbrook, Quebec. [S232] Ancestry.com, Québec (Anglican) (Québec (Anglican Cathedral Holy Trinity church)), 1916. [S522] Gordon A. Morley and William J. Park, Mount Hermon Cemetery, AA13. [S232] Ancestry.com, Quebec Vital and Church Records (Drouin Collection), 1621-1967.Québec (Anglican) (Québec (Holy Trinity church)), 1846. [S232] Ancestry.com, Québec (Anglican) (Québec (Anglican Cathedral Holy Trinity church)), 1873. [S232] Ancestry.com, Québec (Anglican) (Québec (Anglican Cathedral Holy Trinity church)), 1898. [S232] Ancestry.com, Québec (Anglican) (Québec (Anglican Cathedral Holy Trinity church)), 1878. [S392] Website findagrave.com (http://www.findagrave.com/) "# 83949099." [S232] Ancestry.com, Quebec Vital and Church Records (Drouin Collection), 1621-1967. Montréal (Anglican Christ Church Cathedral, Actes), 1811. [S205] Newspaper, Perth Courier, 6 December 1872. [S392] Website findagrave.com (http://www.findagrave.com/) "#108946744." [S232] Ancestry.com, Quebec Vital and Church Records (Drouin Collection), 1621-1967. Québec (Anglican) (Québec (Anglican Cathedral Holy Trinity church)), 1819. [S232] Ancestry.com, Quebec Vital and Church Records (Drouin Collection), 1621-1967. Québec (Baptist) (Québec (Baptist Societies)), 1875. Elizabeth Sewell was born in 1768.2 She was the daughter of Jonathan/2 Sewell and Esther Quincy.1 Elizabeth Sewell is also recorded as "Betsey".3 She died in November 1776. [S9] Carol Berkin, Jonathan Sewell, p. 86 note. [S9] Carol Berkin, Jonathan Sewell, p. 86. [S232] Ancestry.com, Quebec Vital and Church Records (Drouin Collection), 1621-1967. Montréal (Anglican Christ Church Cathedral, Actes), 1802. [S34] Unverified internet information, http://pistard.banq.qc.ca/apex/f (November 2009). DURHAM — Elsa S. Brodie, 95, a resident of Edgewood Road, Durham, N.H., left this world to be with Jesus on Wednesday, Oct. 26, 2011, at Wentworth-Douglass Hospital in Dover after a brief illness. Elsa was born in Lebanon, Maine on Oct. 17, 1916, the daughter of Edward and Ruth (Lord) Sewell and attended Lebanon schools. She lived in Durham for most of her life. She was a homemaker for many years, where she enjoyed gardening, making rugs, photography and oil painting. Elsa was a member of the Durham Evangelist Church in Durham. She was predeceased by her parents and three brothers and one sister. [S205] Newspaper, Foster's Daily Democrat, 27 October 2011. Ontario, Canada, Deaths, 1869-1938 and Deaths Overseas, 1939-1947. [S89] Family Search, Parish Registers, 1654-1915 Church of England. Parish Church of Chivers Coton. [S205] Newspaper, London Standard Saturday 14 January 1893. [S232] Ancestry.com, Quebec Vital and Church Records (Drouin Collection), 1621-1967. Québec (Anglican) (Québec (Anglican Cathedral Holy Trinity church)), 1906. [S522] Gordon A. Morley and William J. Park, Mount Hermon Cemetery, U57. [S232] Ancestry.com, Quebec Vital and Church Records (Drouin Collection), 1621-1967.Québec (Anglican) (Québec (Holy Trinity church)), 1863.